The business with perishables and temperature-sensitive goods is running exceptionally well, benefitting the air freight industry. But consumers, particularly of younger age, tend to order perishables predominantly online and expect prompt delivery for immediate consumption. 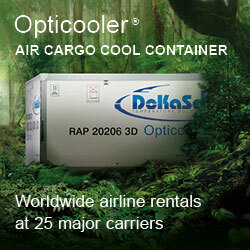 This poses a new challenge for transport companies engaged in fruit logistics. 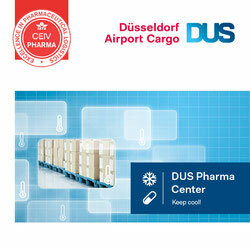 Reason enough for the German Air Cargo Club (ACD) to put this topic on the agenda of their April meeting. The upward tendency of tomatoes, apples, peaches, asparagus et alia transported by air from the producing to the consumer markets is evidenced by the steadily rising demand for fresh produce on a global scale. This has catapulted perishables up front among the many products flown in the lower decks of passenger aircraft or on board of freighters. The sky seems to be the limit for their growth. 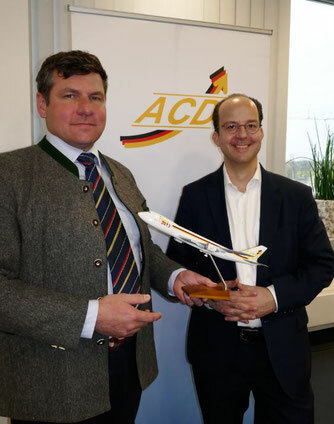 This constant upward development was confirmed by Christian Wurst, Panalpina Europe CEO at the April meeting of the Air Cargo Club Germany (ACD) held in Frankfurt. There, he not only provided an overview on the development of the demanding trade and transport of fresh produce but also indicated shifts in consumer behavior that pose new challenges to the business. 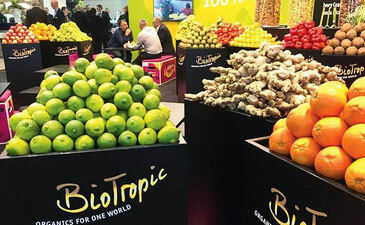 In 2018, more than 32,000 tons of fresh fruit were imported into the EU, of which a third were harvested in Latin American countries, such as Costa Rica, Colombia or Ecuador. As new trend Mr Wurst identified an increasingly critical consumer behavior, with buyers not willing to compromise on quality, no matter where the commodity comes from, he said. This sensitive and demanding attitude on the part of consumers poses completely new challenges for fresh food logistics, said Mr Wurst. The Internet-savvy generations Y (20-35-year-olds) and Z (0-20-year-olds) are driven by impulse purchases, order their goods predominantly online and expect prompt delivery for immediate consumption. For example, Panalpina estimates that by 2020, approximately 27 percent of global B2B trade will be carried out online. That's why logistics companies need to adapt their supply chains to these evolving needs, including fresh produce logistics. "Impulsive purchases of younger generations as well as action days generate demand peaks that require a broader perishable industry focus on the online commerce.” In this changing trade environment, “it is key to ensure the fresh product’s very high quality continuously," the Panalpina manager exclaimed. He reminded that the planning and execution of refrigerated transport requires a lot of expertise along the entire supply chain. Even the slightest delays or unfavorable climatic conditions during the transport of sensitive goods can have direct consequences for the products and lead to their fast depreciation. The latter was stated by Gerton Hulsman, Board Member der Cool Chain Association und Managing Director of Dusseldorf Airport Cargo during the Q+A session. Having said this, Mr Hulsman advocated the implementation of a global quality standard for fresh produce as it exists in the pharma sector. A recommendation Mr Wurst fully supported.